How to disable zooming on product images? REHub is very flexible theme, so you can disable parts of content that you don’t need: breadcrumbs, social share buttons, ads after post, author block, related block, tags, etc. Also you can disable block with featured image (video, audio, slider) at top of post. You can do this in Post settings for any post. 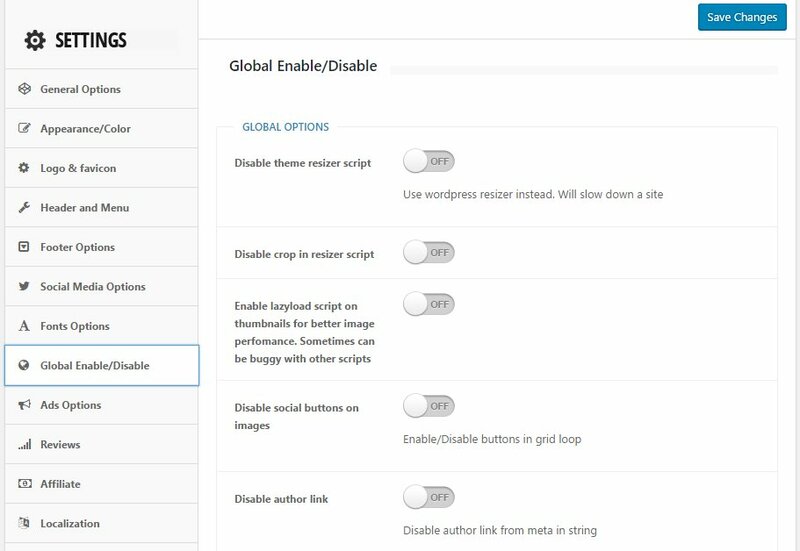 Also you can disable some parts globally in Theme Option Global Enable/Disable . Wpsoul © All rights are reserved.